Providing Exceptional Training in Telecommunications Safety. Tower Safety knows what it takes to manage a cell tower company and cell tower crews. We want your tower climber to be successful, smarter, safer, and we are there for you 24/7! 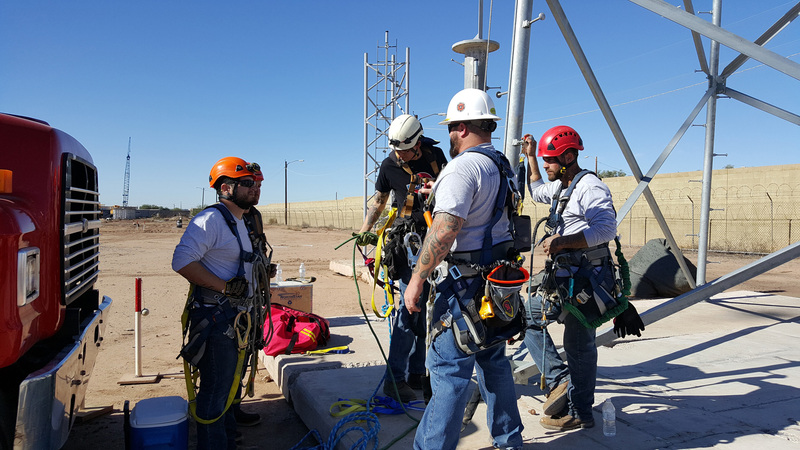 A cell tower climber’s safety is essential to the wireless industry and Tower Safety and Rescue Courses is here to help the climber and the employer succeed in quality and safety training! We are passionate about providing companies with a skilled and safe cell tower employee. Students safety training experience with Tower Safety and Rescue Courses will show we care about YOU. Our Competent Drone Pilot – Telecom (CDP-T) is a training program designed for owners, CMs, PMs, Foremen or competent persons to safely and legally fly an unmanned aircraft (drone) and add these systems as part of the standard PPE for cell tower construction and inspection crews…. Tower Safety and Instruction meets or exceeds industry standards for OSHA and ANSI (American National Standards Institute) Z359, ANSI Z 490, ANSI 10.48, TIA 1019, TIA 222, TIA 322, ASME , FCC, IEEE, and the FAA …. Why Tower Safety and Rescue Courses? 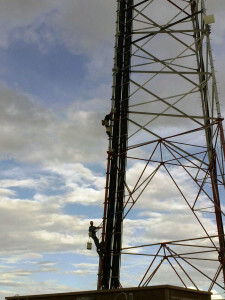 Our cell tower instructors have installed, rigged, climbed towers and worked in the wireless industry for over 25 years. prepare, plan, and practice! Tower Safety and Instruction training focuses on additional tower climbing and equipment rigging techniques, trusting your gear, and the responsibility of being safe. Tower Safety and Instruction is your Safety Training and Workplace Safety Solution. We Stand for Workplace Safety by providing training that empowers individuals. This enables our trainees to do whatever it takes to return home safe EVERY DAY. For those they care about and for those who love them. Our training challenges clients to Think About, Act On, and Value Safety in ways that impact their lives. ACCOUNTABILITY – Taking action and making necessary changes. Turbocharge Your Safety, Authorized Climber Courses! Tower Safety and Instruction offers Construction Safety Course’s. We are..